On January 13, 1793, an infuriated crowd marched through the streets of Rome looking for French revolutionary sympathizers. They managed to stop a carriage and lynched the French Jacobin emissary to Rome, Jean Hugon de Bassville, who died from his wounds the next day. The attack was immediately taken up by the French Convention, not as evidence of actual popular indignation, but as a puppeteer act staged by the Papal city. For its part, opponents of the Revolution seemed to regard the incident as fair punishment for the French crime of regicide, completed just days later. The punishment of republican politics in Rome had, in fact, been a motive for Bassville, a journalist, to start his ‘diplomatic work’ in the Papal City. As of 1791, the Papal police had actively surveyed and imprisoned two French artists under charges of blasphemy and public subversion. Bassville’s ‘provocations’ appeared intended to counteract the legal fate suffered by these artists who were the other targets of the violent parade in 1793. This talk takes a look at the visual and literary devices employed in the aftermath of the lynching that make of the Bassville murder a moral witnessing with the shades of Bassville and of those of the French art students imagined within a Dantesque tour of hell, their souls damned over complicity in Louis XVI’s decapitation. Since the 1713 Utrecht Pact, England excited the political and cultural imagination of vast sectors of the Spanish intelligentsia. In this talk, Dr Leticia Villamediana González will unravel the different means by which they adapted and adopted British cultural and scientific products. Moreover, the paper will shed light on some of the political debates stirred by the imperial rivalry that transpired in the Spanish press of most of the eighteenth century. 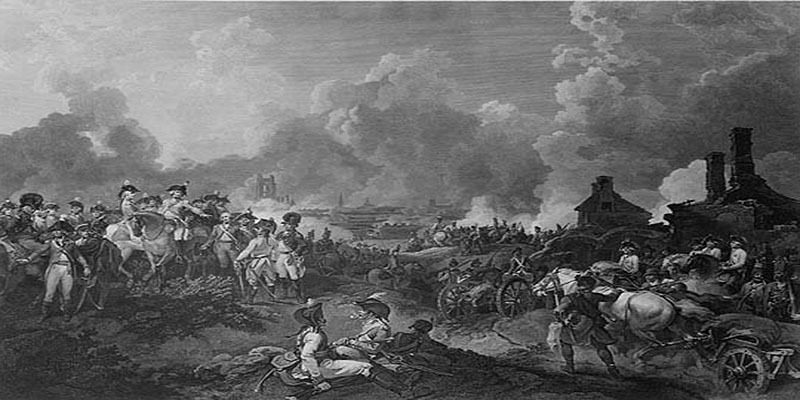 This paper discusses British artistic representations of the Battle of Valenciennes, fought on 25 July, 1793, with a particular focus on Philippe-Jacques de Loutherbourg’s large-scale battle painting The Grand Attack on Valenciennes (1793) and on associated works by the graphic satirist James Gillray. In drawing attention to the collaborative relations between members of the British royal family, painters and print-makers and the establishment press, the paper will show how British military art in the 1790s sought to regulate the emotional responses of civilians to visual representations of the Allied war against revolutionary France.